It has been a long time since we last updated the blog after round the world trip has ended. In fact, we still keep traveling but these travels are shorter this time. To be honest we didn't have any energy to concentrate and update the blog during these travels until the polite invitation of Singapore Airlines and Malaysia Tourism Office. I couldn't refuse this kind offer with the effect of missing Asia and I found myself in Singapur on an early Saturday morning after a long but comfortable flight. During the round the world trip, it was really hard to leave Singapur before heading to Buenos Aires but Singapur has welcomed me just like I left it, warm in all senses. It was very nice to be back in tropical climate again. Singapur is a little island which is located 130 kilometers north of equatorial line. The population of the island/city/country is around 5,5 million and most of the population are Chinese based while rest are Indian, Malaysian and from other minorities. Hence it is possible to see different people from different origins leaving together. The planning of the city is very modern; wide roads among high buildings and skyscrappers are remarkable. The transportation options via buses and metro enable people to reach anywhere in a short time. The geographical location of the island is also critical which also makes its harbour and airport very important. 1 of 5 cargo ships around the world are said to stop by Singapore. On the other hand; Changi International Airport hosts over 6600 flights weekly which connect the island to 220 different cities all around the world. An important note to underline; Singapur Airlines fly to Singapore from Istanbul 5 times a week on both directions. The first stop on my itinerary in Singapore was Gardens by the Bay. These gardens, located next to the ocean" are an important part of government strategy; transforming the city into "city in the gardens" instead of "city of the gardens". There are 3 different concept gardens in the park; the largest one, named South Marine Garden, hosts different climate environments and many plants and flowers from all continents are exhibited here. The second garden's name is East Marine Garden and plants belonging to various countries in Southeast Asia are exhibited here. The third garden connecting other two gardens is named Central Garden. The gardens are attracted especially by the kids and teenagers. 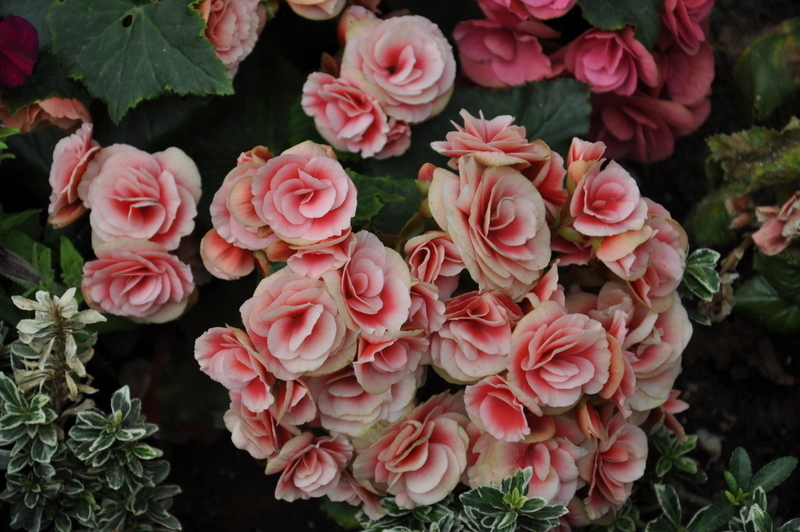 As conformed to this attraction, presentations about the nature are done to the new generation and I think this is the most important thing about the park. An important thing I noticed in one of these presentations; the average temperature around the world is expected to increase by 5 degrees until 2100 if the carbon emission keeps same as current level which simply means thousand of livings on the earth will be erased. 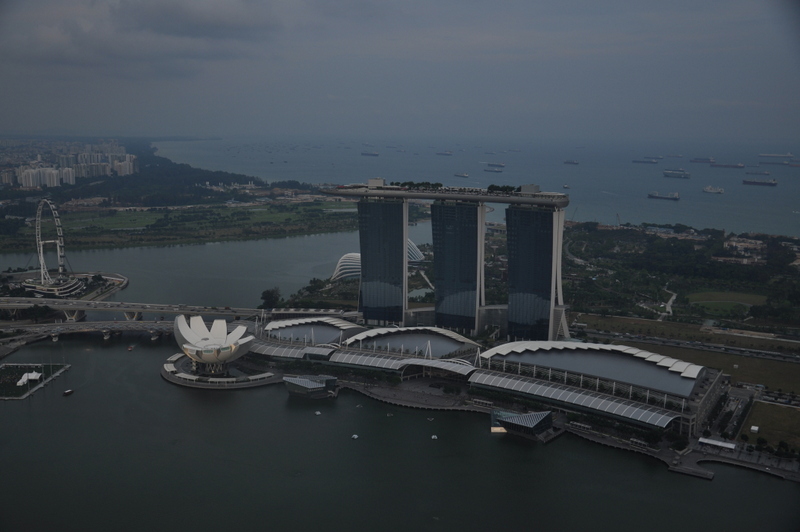 After Gardens by the Bay, I went to Marina Bay Sands and headed up to the famous infinite pool which was kind of holy visit for travelers to Singapore. The view was fantastic as usual. Ok, it is expensive but I should definitely stay in this hotel and enjoy the pool one day. Then I went to the Art and Science Museum just next to Marina Bay Sands and visited an interesting exhibition. It was about a guy, named Nathan Sawaya, who creates fantastic art pieces with simple legos. Yes, you read right, legos with most of us played when a kid. Art and Science Museum hosts various exhibitions similar to this one all the year and attracts may art lovers. This is the place to visit in Singapore if you are interested in art. The second and the last day, it was time to go to Sentosa. This island hosts many attractions such as Universal Studios and Maritime Museum as well as hotels and restorans, and is the reason to come to Singapore for many people. My reason was a little bit different; to visit World's Largest Ocenarium. 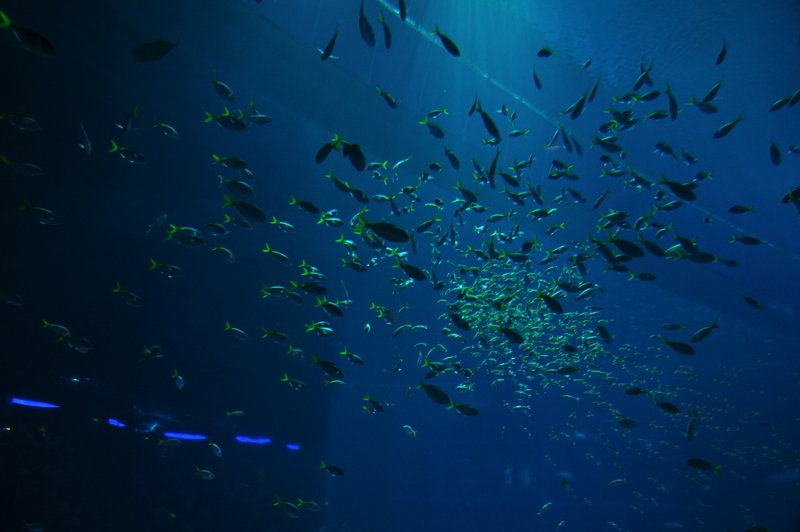 This aquarium is a very interesting place hosting more than 20.000 sea creatures belonging to 800 different species, especially for ocean lovers. It is also funny to watch little kids trying to touch giant fishes in front of the aquarium. Before closing the day and my time in Singapore, I headed to Chinatown and Little India which are known as the local centers. Some of most crucial information about Singapore must be noted about these 2 neighbourhoods. It is very important to keep places with local cultures in such a country like Singapore where people from different cultures are living together. This is actually a sign of respect to those cultures as well as a respect to living together. Next morning; I arrived to the other side of the country, in other words Malaysian border following a 40 minutes trip. After crossing the border quickly, we headed to the second largest city of Malaysia, Johor Bahru to visit Legoland Malaysia which is first of its kind in Asia and after a few hours in the park, we found the answer of the following question: "Where's heaven on earth for kids?". 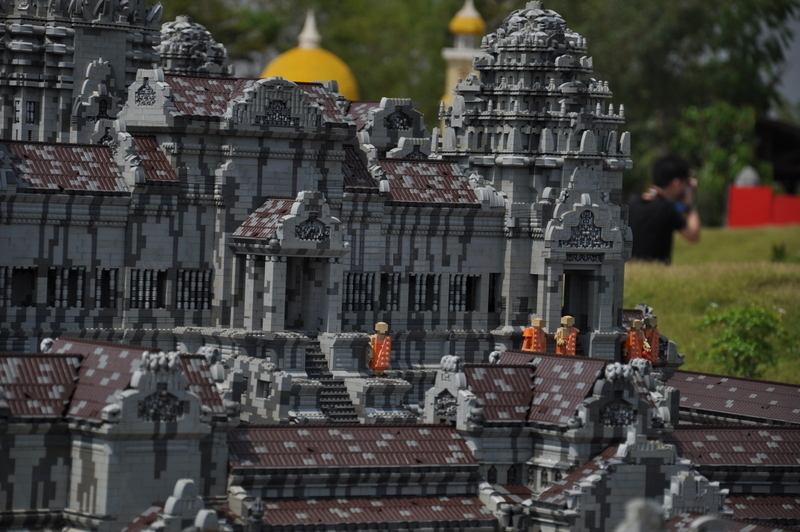 More than 50 million pieces of lego was used in the park to construct giant masterpieces such as Taj Mahal and Angkor Wat as well as the miniatures of important cities in Asia. There is even a huge figure of Einstein made of legos! By the way, I should also give some information about Johot Bahru. This emerging city is a ready to be the new commercial attraction center of Malaysia with the help of geographical conditions as well as being so close to Singapore. Many new projects besides Legoland will be developed in this area and some Turkish companies are also getting prepared to invest here. After spending the night in Johor Bahru, we hit on the road to KUala Lumpur early in the morning. 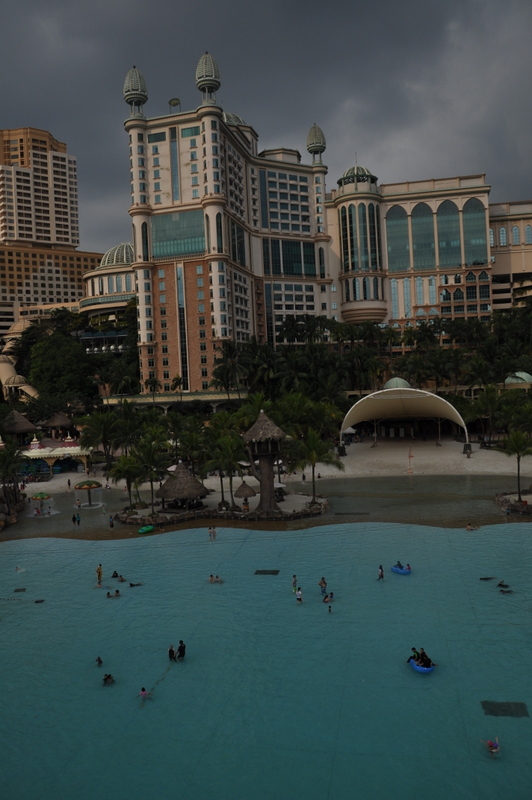 After a 4 hours of journey, we arrived to Sunway Lagoon which is established in the outskirts of Kuala Lumpur. This huge entertainment and water park was established in a large valley which was actually a mine area after long years of construction. They are celebrating the 21st birthday this year. It was really suprising to see hundreds of people around a huge artificial beach far far away from sea with a big hotel and shopping mall next to it. In the park, besides the beach, there are also a long canopy walk, a zoo and other attractions such as bungee jumping. 90% of all 1234 rooms were full in the hotel when we were there so this is also a sign how popular the park is. There are several ethnicities living in Malaysia and most of them are either Malay, Chinese or Indian. The country has a fabulous nature with the help of its geographical location and tropical climate. But it isn't widely known in international platforms or let's say it's known true enough. Hence, there is a very important advertisement campaign about Malaysia and its culture both locally and internationally. In 2010, the government had started a new promotion program called 1Malaysia which targets ethnical harmony and national unity and this program is just in the center of these advertisements. The program emphasizes both natural and cultural diversity as well as harmony and peaceful ambience. The capital Kuala Lumpur is one of the most important cities in Asia with its glamorous skyscrappers and huge shopping malls. Although the official religion of the country is Islam, it is possible to see temples and mosques next to each other. A natural symbol of the country, Petronal Twin Towers is also a highlight of modernity. We say various similar highlights also in the International Shoe Festival that we attended. The city hosts earth's only international shoe festival with the leadership of Jimmy Choo who is actually a global remark and this festival attracts many people from many countries around the world. This festival is also another sign about how ambitious and devoted Malaysia is about the tourism promotion campaigns. 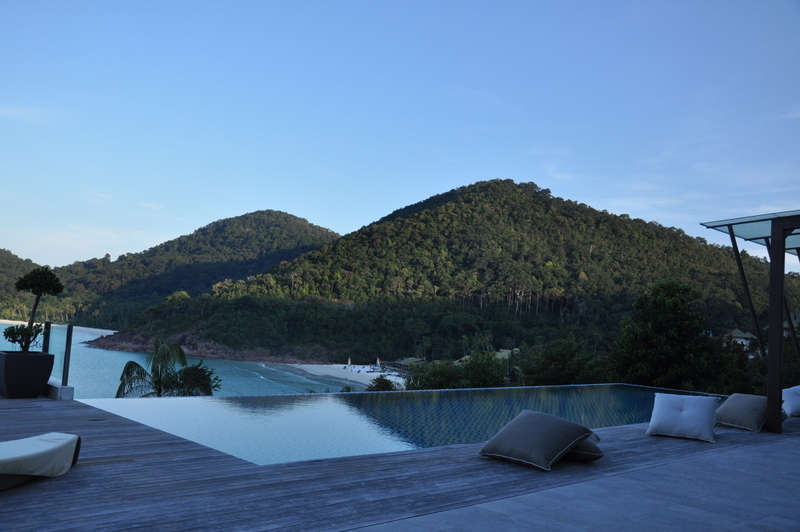 A trip to Malaysia would be incomplete if we didn't travel to gorgeous nature so we hopped on a plane and after an hour of flight we arrived to Redang Island full of bright green trees and surrounded by turquoise water. We then realized that our decision to come here was a great idea after leaving the little airport nad heading to our hotel. Redang Island is located to northwest of peninsular Malaysia and it offers great diving and snorkelling opportunities since it has been kept as a natural marine park for years. It is possible to see various tropical fishes as well as sea turtles. They are not very shy but if you are lucky, you can swim next to one as I did. Ok, I was a little bit nervous but it worthed. A final note for the ones who wants to travel to here; Malaysia is actually a very entertaining country where you can have enjoyable time and discover really interesting details although it is a little bit far away. Besides there is no visa restriction which is very important. Don't get scared because of distance or costs, come here and enjoy. You can also have detailed information about Malaysia through Malaysian Tourism Office facebook page.